Absolute steal for AC3 digital deluxe which comes with the season pass (which on its own is over £20 on other sites including Steam). Yes it uses Uplay but you see it for all of 20 seconds when u boot the game and then its gone! Just to let people know: the Deluxe Edition of Assassin's Creed 3 includes the Season Pack, which Steam are still selling for £23.99. Absolute steal for AC3 digital deluxe which comes with the season pass … Absolute steal for AC3 digital deluxe which comes with the season pass (which on its own is over £20 on other sites including Steam).Yes it uses Uplay but you see it for all of 20 seconds when u boot the game and then its gone! Can anyone tell me whats the difference between the normal versions and the deluxe, gold and directors cut versions? Can anyone tell me whats the difference between the normal versions and … Can anyone tell me whats the difference between the normal versions and the deluxe, gold and directors cut versions?Thanks! Additional secondary missions that weren't available in the console version. 3 bonus maps: Palazzo Medici, Santa Maria Dei Frari, and the Arsenal Shipyard. - Mediterranean Traveler Map Pack - 6 new multiplayer maps. - The Lost Archive: Extra Single player mission and some annoying first person puzzles. - 4 bonus single-player missions, adding over an hour of additional gameplay. bought brotherhood, but am very tempted by AC 3 as well... is it worth it? I didn't hear good things! bought brotherhood, but am very tempted by AC 3 as well... is it worth … bought brotherhood, but am very tempted by AC 3 as well... is it worth it? I didn't hear good things! It's a little linear, the characters are mostly dull and the story pacing is a bit slow in places, but otherwise its an Assasin's Creed game with some cool new features (even if there isn't as much choice in the way you approach each mission). Naval battles are a highlight though and I enjoyed the game overall, but just don't feel the itch to go back and play it in a hurry. I bought this in a previous deal. I found there were gameplay issues because it has been ported from Playstation. Unfortunately, this happens more often than it should due to companies wanting to make a quick buck with 'deal' games. The only rule of thumb I can observe is just to avoid console to PC ports. COLD! I bought this in a previous deal. I found there were gameplay issues … I bought this in a previous deal. I found there were gameplay issues because it has been ported from Playstation. Unfortunately, this happens more often than it should due to companies wanting to make a quick buck with 'deal' games. The only rule of thumb I can observe is just to avoid console to PC ports. COLD! That's about 99% of multi-platform titles then. No idea what gameplay issues you're talking about... I've recently played through 1, 2 Brotherhood and Revelations and they were excellent, no issues at all. Love how smooth these games are at 60 fps!! Currently playing through AC3 and for the most part that's been fine to.. there was some serious fps issues in Boston but that was fixed by updating my nvidia drivers. 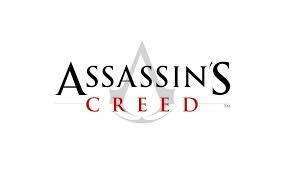 Assassins Creed Directors Cut edition extrasAdditional secondary missions … Assassins Creed Directors Cut edition extrasAdditional secondary missions that weren't available in the console version.Assassins Creed 2 Deluxe edition extras3 bonus maps: Palazzo Medici, Santa Maria Dei Frari, and the Arsenal Shipyard.Brotherhood deluxe extras - 2 Exclusive Single-Player Maps: The Trajan Market & The Aqueduct- 2 Additional Multiplayer CharactersRevelations Gold edition extras -- Mediterranean Traveler Map Pack - 6 new multiplayer maps.- The Ancestors Character Pack - 4 new multiplayer characters- The Lost Archive: Extra Single player mission and some annoying first person puzzles.Assassins Creed 3 Deluxe edition extras- Assassin’s Creed® III Season Pass gives you access to all five upcoming downloadable content packs- 4 bonus single-player missions, adding over an hour of additional gameplay. He probably just means they are crap handholders that cater to dummies. Love how a 20 quid season pass can only just about muster up an hour's worth of new content.